Like anything else left outside in the weather and the elements, fences can deteriorate and need repairs. Think about it, your fences stand outside day and night, in good and terrible weather, and more. These factors can take a real toll on fences health and condition. As a result, it’s good to know a good fence contractor who provides some fence repairs when you need it. Purchasing a whole new fence just because part of it needs repairs isn’t necessary or a good use of money. We can repair and patch your fence up so good nobody will know it needed repairs in the first place. Fences hit by a ton of different weather and exposed to a large range of diverse threats to their longevity. From being flattened by a windstorm to rotting and bug damage, and so on. We can correct and fully reinstall any areas that need it. While we’re fixing one area, we can inspect the rest for any potential weaknesses that cause us to come back. If there are any, we can reinforce the weak points and prevent any serious rotten or weak areas promptly. 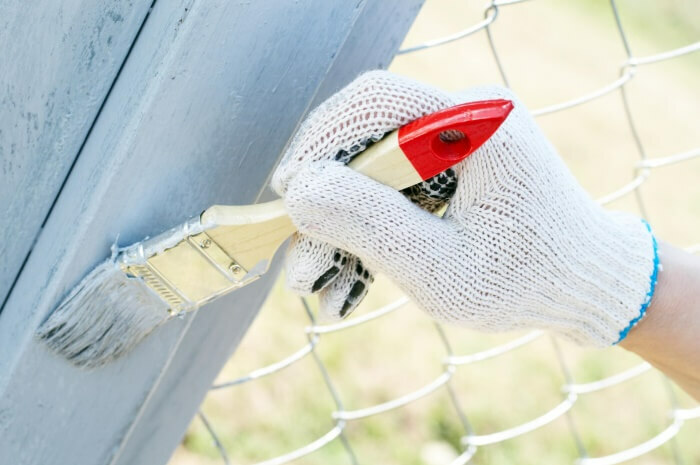 Because fence repair can range in specifics so much, we can’t say anything without seeing your situation. Each repair is different. The easiest thing to do is to give us a call to describe and tell what is the problem. And we'll be more than happy to provide all the information you need. Choosing the right material for your fence, installing it correctly, and maintaining it properly. That said, it’s especially critical to get the material right. For example, we do a lot of repairs on wood fences due to rotting and water damage. That said, we would never perform rot repair on a vinyl fence. Even though we are perfectly capable of doing so because vinyl fencing is made out of synthetic material that cannot biodegrade like wood can. Bottom line is that the material your fence is constructed out of influences how we repair it and what our best choice is for longevity and appearance. These are all things we will appraise for you. After serving this area for years, we are very familiar with the most common fence repair costs and needs. We understand what it’ll take to get pretty much any situation fixed. And as a result, we don’t feel the need to go through with the hassle for our customers of having an inspection before scheduling. We’ll show up with all the tools and materials required, and get the job done quickly and efficiently. Your time is important, and we’re not going to waste it by scheduling a pointless walk through when we can get the job done in one clean operation. A relatively minor repair job can become quite extensive and costly when it’s put off again and again. The problem often gets worse that affect the fence even more before you know it. You’re paying three times to fix something that should have cost a lot less. Think about wood for a second, does it even become less rotten with time or longer?. With our quick and efficient service, you can call us as soon as you have a problem and we’ll get it fixed quickly. We are always happy to help.